Crafty Happiness: Summer 2010 New Product Blog Hop!!! Summer 2010 New Product Blog Hop!!! Welcome to our Close to my Heart New Product Blog Hop! Over 40 Fabulous Close to my Heart Consultants are celebrating the upcoming release of the Summer 2010 Idea Book by giving you a Sneak Peak of some of the great products available in the new Idea Book starting May 1st. If you have come here from Carrie's blog, you are on the right path. This is simple to do - just click on the link at the end of the post on each blog to move to the next one. Here we go! "rolled the edges of the cherry back in Cranberry for some detail. The leaves were made the same way, with Ponderosa Pine and Chocolate inks. 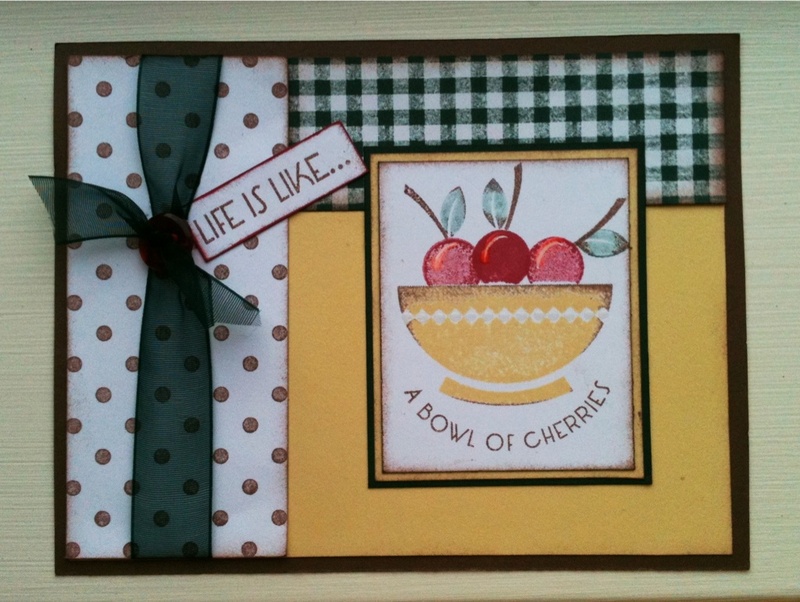 The card design is from Jeanette Lynton's Wishes book. The layout is called "Sweet & Simple". I *love* this book! Now "Hop" on over to Maranda's blog to see her work. 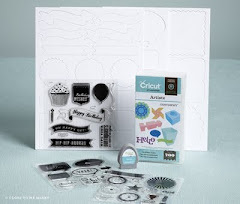 Be sure to visit all the Consultants at their blogs to get some great crafting ideas and see the great new paper and My Acrylix stamp sets. I love that you masked your cherry bowl!! great job on the stamping this is so cute. I really like the Ponderosa Pine with the bowl of cherries. Gives your card a really rich feel. TFS. Really like the colors you chose for this. I like that the cherries are the only 'red' on the card. The colors complement each other well. Very cute!! Love the color combo! Nice card, I like the dark green!